This is an urgent plea for people to sign the petition to remove article 15 from the proposed Offensive Weapons Bill in this post I will also address the element of the Bill that proposes the banning of knives on FE college campuses. 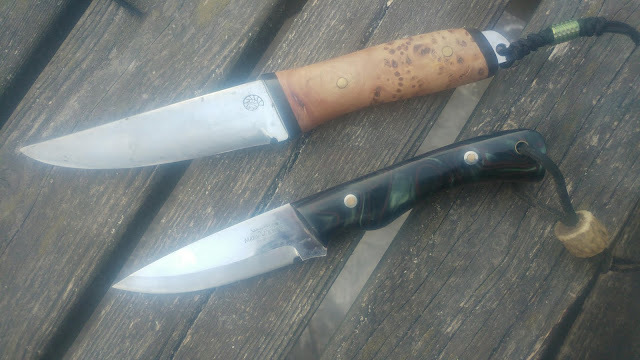 As a practitioner and teacher of bushcraft, a professional deer manager and a lecturer at FE colleges where I train game, wildlife and countryside management students knives and bladed tools are an essential part of my every day life and as the oldest metal tool known to man why should their legitimate and essential uses be criminalised? 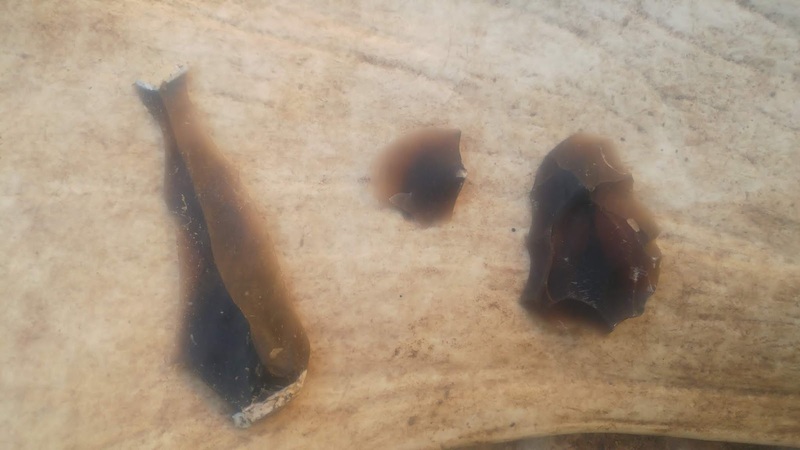 Before bronze, copper and steel our ancestors used flint and bone tools. I put a letter in the post today to my MP and want to share the questions I asked in that letter here, I think they are relevant questions to the issue and it's a shame that a knee jerk reaction to knife crime is going to penalise law abiding users and makers of knives and tools without really affecting knife crime. Does the government have evidence that knives ordered online and shipped to residential addresses are being used in criminal activity and does that evidence, if any, support this aspect of the Bill? I find it hard to believe that this will in any way affect knife crime. Stabbings are most likely committed with kitchen knives taken from kitchens or bought very cheaply in person by people who are, or appear to be, over eighteen. Additionally screw drivers and other pointed implements are as ‘offensive’ in terms of their ability to wound or be wielded as a weapon and are far more accessible to someone intending to cause harm than a knife is. I feel that this approach will not affect knife crime and is just an attempt to be seen to do something about knife crime. It will unfortunately have a crippling effect on small businesses and craftsmen who specialise in making and selling knives and other bladed tools or sporting equipment online where local demand does not justify a permanent retail presence. I received all these knives in the post the top one is a custom made knife by a Texas based custom knife maker by the name of William Collins and I certainly can't travel to Texas to pick one up. The centre knife is only available from one Finland based retailer and is not stocked by any brick and mortar shop in the UK, neither is the bottom knife. None of these can be obtained without postal delivery. Do I now have to complicate my purchase of these TOOLS by having to travel a long way, incurring significant inconvenience and additional cost to pick them up from a 'collection centre'? Also what if I wanted to send equipment for a bushcraft course ahead to a venue by courier will this also be prevented? 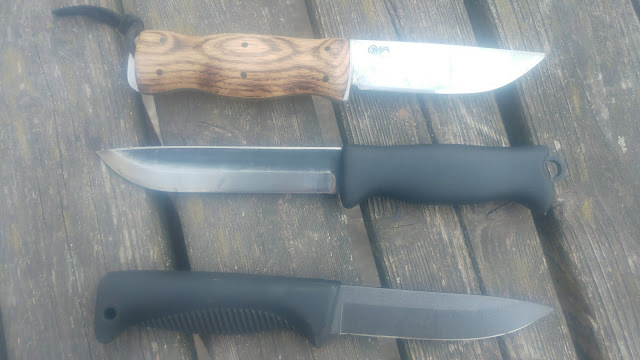 As a freelance bushcraft and survival skills instructor will this new legislation now mean that I can’t order knives and tools, that I provide for my students to use on my bushcraft courses, online and have them delivered to my home which is the same address that I conduct business from? As well as knives I use other wood working tools in my teaching and practice of bushcraft, these particular tools were made in The Ukraine and I could only have received them in the post, why should I or other people practising traditional skills professionally or recreationally be penalised, who is going to buy one of these for the purpose of committing pre-meditated crime? If, as I suspect it will, this new Bill does prohibit people who work from home from having knives and other bladed tools delivered to home addresses how does the government reconcile the loss of earnings and inconvenience I, and many others, will suffer with the forecast benefits of this Bill? How will the system of receiving mail ordered knives now work? Presumably picking up these items from post offices or approved collection centres will incur an additional cost somewhere? Is it fair to pass on this cost to law abiding people ordering, making or selling specialist tools online? Especially if there is no data to suggest that mail order knives are being used in crimes. Additionally I imagine there will be some sort of data collection and record of who has purchased and collected knives or other bladed tools including a record of their contact details and address carried out when people collect their mail order knives, why should this be? Surely that is an invasion of privacy for individuals and effectively licences knives and provides police and government with precise information on the personal details of people who have purchased knives for legitimate and lawful purposes. I personally would feel that my privacy is being invaded to have all these details recorded and kept especially as it would not be by an official body such as the police force but by a ‘collection centre’, perhaps a post office, why should they have access to the information? Especially if I was purchasing very expensive handmade or collectable knives why should other people know that? Surely then my security and property is placed at risk? Also will we start to see cases here as have been seen in The States with the Starbucks debacle? I’m sure you are aware of that incident but just in case; the police were called because several black gentlemen were sitting in a Starbucks restaurant waiting for a friend and hadn’t ordered anything at the time. Are similar things going to occur now in the UK with knives, will ‘collection centre’ employees refuse to hand over the legal property of a person collecting a mail order knife because they don’t like the way they look, maybe I will pick up a package during a hard day’s work, my hair might be full of sawdust I might smell of camp fire or be wearing scruffy clothes will my knife be denied me or will the police be called because someone has profiled me a certain way just because I have been working hard out of doors? This all seems a bit like an Orwellian nightmare but I don’t think it is an unrealistic forecast of what may come as a result of this Bill. How can the government justify this particular aspect of the Bill with the fact that it will effectively drive many craftsmen and artisan knife makers, who operate almost exclusively by mail order, out of business, or at least subject them to crippling additional costs? 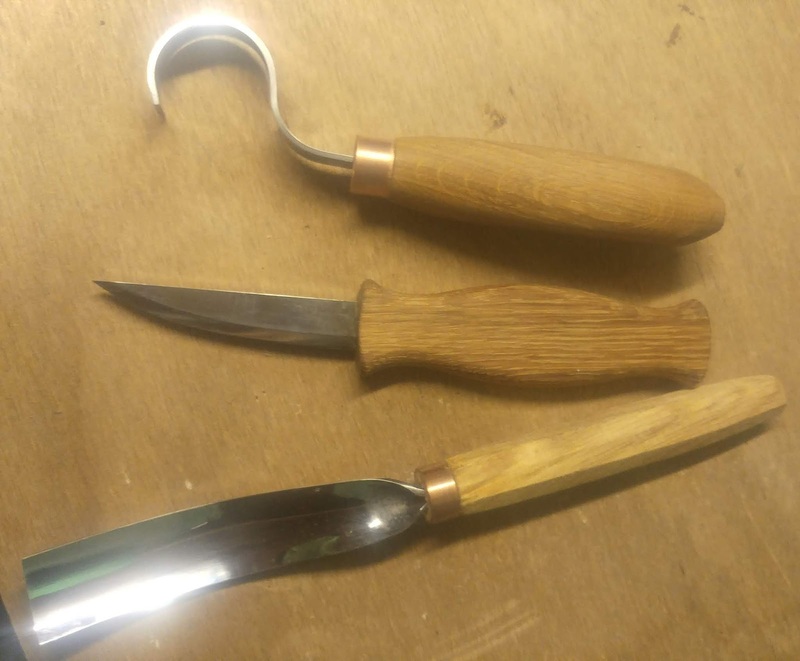 These beautiful handmade tools from UK based craftsmen are essential tools in my work and I take great pleasure in having quality tools at my disposal. Because I use them every day I like to have tools that are comfortable to use and built to a high standard that I can trust. But craftsmen who operate on a small scale will no longer be able to ship knives to their customers under the new Bill and will also not be able to order bladed tools to be delivered to their places of work because they often work from home. Does that also mean that makers who do not heat treat their own blades will not be able to ship blades to be heat treated or receive them back from heat treatment in the post? What benefits and reduction in crime are the government expecting to see as a direct result of the banning of the delivery of knives to residential properties? With regard to the banning of knives on Further Education premises: FE colleges teach many specialist courses which include the use of knives and edged tools, additionally the college I teach at has a 360 acre farm where I train students in game and wildlife management and where I also fill the role of gamekeeper. I require a knife several times a day to do this work and we provide knives and edged tools such as billhooks to students during lessons as they are essential tools as students engage in vocational countryside management training particularly for topics such as woodland management and green woodwork. Will this proposed bill ban the vocationally relevant use of knives on college campuses? If so how are my students to complete their studies and take part in the full scope of vocational training? Does a college’s farm and countryside estate count as part of the ‘campus’ for the purposes of a knife ban? Are employees of a college’s farm therefore prohibited from carrying or using knives in line with their work? I have taught land-based students for years at three different land based colleges and have observed them using knives, tools and guns and have NEVER seen a student under my tuition behave irresponsibly with these tools. I realise that the students I deal with are a very different group of people from those who are involved in violent gangs and urban knife crime but responsible people must not be penalised in cases like this, especially where this Bill does not address the root cause of knife crime. So that's my rant and some hopefully thought provoking questions about this new proposed Bill that really needs to be thought out a bit more. Sign the petitions submit expert evidence if you are able to during the consultation period on this Bill and hopefully we can end up with a solution that really does address knife crime and doesn't penalise the legal use of knives and tools.